The new scheme aims to reduce the number of Canberrans overdosing on prescription drugs such as oxycodone (pictured). ACT pharmacists and doctors are being urged to sign up to a real-time prescription monitoring website in a move to reduce the number of Canberrans overdosing on prescription drugs. 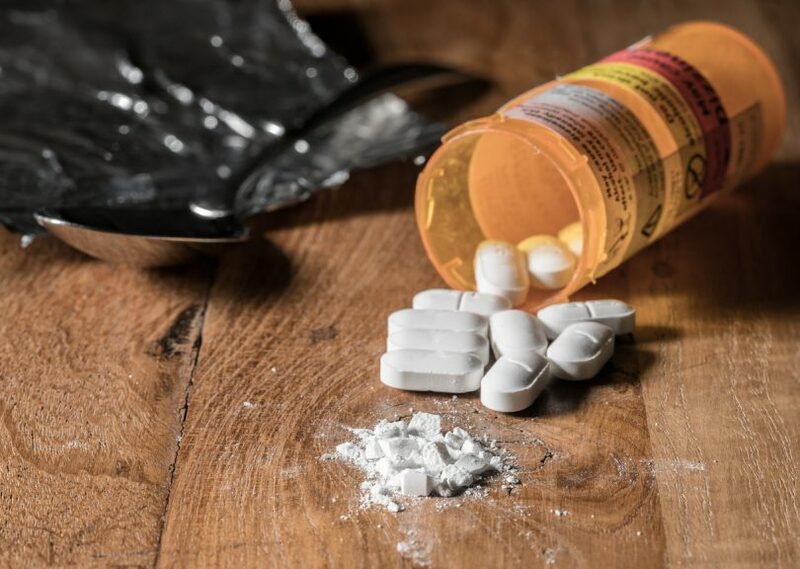 ACT Health Minister Meegan Fitzharris said that deaths and harm from prescription drugs are now higher than from illegal drugs and the new scheme (known as DORA) will help stop people from misusing them. A real-time prescription drug monitoring scheme was one of two recommendations made after a coronial inquiry into the death of 21-year-old Canberra man Paul Fennessy, who died in 2010. Ms Fitzharris said for the first time in the ACT, eligible prescribers and pharmacists will have vital information available to them to assist in making better and safer clinical decisions for their patients, before a prescription is written or dispensed. “ACT health professionals with access to DORA will be able to view all controlled medicines that have been dispensed to their patient in the ACT,” Ms Fitzharris said. “Whilst controlled medicines play an important role in patient treatment, unfortunately some controlled medicines can lead to an addiction or even an overdose when patients are able to access these medications inappropriately and or too frequently. “This system will help health professionals to identify unusual patterns of use by a patient, such as incorrect, inappropriate and over-use. Ms Fitzharris urged all eligible prescribers and pharmacists to apply and register for DORA and to start using the system as part of their clinical practice. “DORA has put the ACT on the front foot for adopting national real-time prescription monitoring in the future, as the Federal Government plans to implement its national monitoring system from this year. DORA stands for DAPIS Online Remote Access and is an extension of the Drugs and Poisons Information System (DAPIS), which is the regulatory business system used by ACT Health to monitor prescribing and supply of controlled medicines.